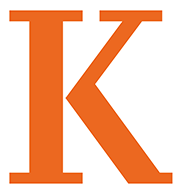 A vibrant and inspiring environment exists in the Department of Music at Kalamazoo College, where musicians -- majors and non-majors alike -- may take a range of rigorous academic courses, pursue private lessons with first-rate professors and faculty, and perform in our many ensembles. Here, you will never be taught by a graduate assistant; at “K”, all students receive dedicated and focused attention from some of the finest professional musicians in Michigan. The Kalamazoo College Department of Music has many ways for you to remain musically active while engaged in a wide breadth of liberal arts studies. If you are interested in music as a major or minor (or just in taking a few classes), we have a comprehensive series of academic courses in theory, history, and other subjects -- check out our course catalog. And the department is also full of opportunities to practically apply your musical skill. There are private lessons for almost any instrumental/vocal background and level, as well as in composition and recording technology. You can see the full list of offerings in the course catalog. And you can learn more about the faculty that teach these courses, as well as get in touch with them, by visiting the faculty contact/bio link here. We would love to know more about you and your musical interests! Please take a moment to get in contact with us directly at the emails below. We look forward to getting to know you! Any student can be a part of a performing ensemble at KCollege! Jazz Band, Symphonic Band, Kalamazoo Philharmonia, College Singers & Chamber Choir, Bach Festival Choir, and International Percussion Ensemble.